The special yearly issue of the famous Italian three-monthly magazine on Ferrari. In this number: remembering Ferrari, the automatic gear, Ferrari 355, 50 yearsd of F1. 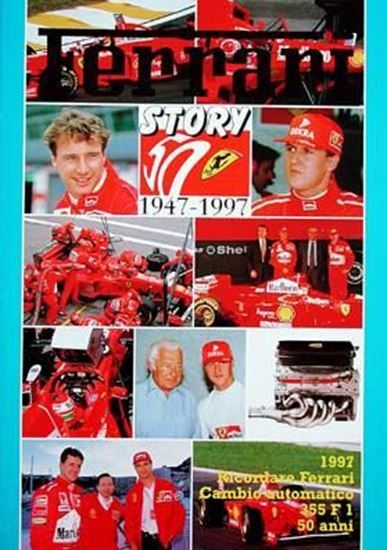 The cover of this issue is made up by a number of pictures of the Formula 1 including one taken on the occasion of the introduction to the press to the new car with Fiat President Romiti, Ferrari President Montezemolo and the drivers Schumacher and Irvine. There is Fiat Honorary President Mr. Agnelli who is always very interested in the activities of the favourite Company and there are racing moments of the 1997 season.